Cooking delicious dinners at home doesn’t have to be difficult thanks to meal delivery services like Sun Basket and Home Chef! The difficult part is actually choosing which meal kit you want to go with. Considering there is a lot to think about, we’re making it so easy for you to make a final decision. 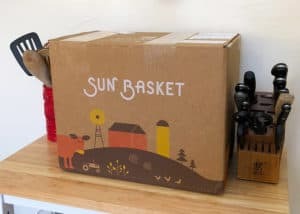 To help you choose between Sun Basket and Home Chef, everything you need to know about each one is right here in this post. No one likes eating the same meals over and over again. Recipe and taste variety is important when it comes to choosing a meal delivery service. As with most meal delivery services, Sun Basket has a menu that changes each week. This way, you’ll always have plenty of variety and you’ll never be left eating the type of food all the time. But what really stands out about Sun Basket is the variety of meal plans they offer to cater to your needs. Their meal plan options include: Chef’s Choice, Paleo, Lean & Clean, Gluten-Free, Vegetarian, Mediterranean, Vegan, Pescatarian, Diabetes-Friendly, and Quick & Easy. With so many options to choose from, you can be sure to find something that suits your taste or diet. On the menu, you’ll find plenty of options to enjoy like Chicken Cacciatore with Cauliflower Mash, Fresh Fettucine Bolognese and Garlicky Baby Broccoli, Pork Chops with Fig-Rosemary Sauce and Quinoa-Endive Salad, and Steak with Chimichurri and Harissa-Roasted Sweet Potatoes. The best part is that each one of those dinners is made with high-quality, organic ingredients. While some meal delivery services sometimes provide organic ingredients, it’s actually a priority for Sun Basket. 99% of the produce they offer is organic. It’s also always fresh and in-season. They also source meats from trusted farmers and provide customers with meat that is antibiotic-free and hormone-free. All of their seafood is wild-caught and sustainably-sourced from fishermen they trust. Unlike Sun Basket, Home Chef doesn’t have a long list of meal plans to choose from. Instead, they provide their customers with an extensive menu each week with plenty of meals for them to choose from. There aren’t any dedicated meal plans based on dietary needs, so it’s up to you to figure out which meals are right for your diet. The good news is, there are plenty of option to choose from. With 16 different meals on the menu, plus add-on items, it would be hard to get bored with what Home Chef has to offer. You’ll be able to chow down on dishes such as: Barbacoa Steak Tacos with Queso Fresco and Pickled Vegetables, Cheddar & Crispy Potato Crusted Chicken with Parmesan-Roasted Vegetables, Jalapeño Popper Burger with Chipotle Mayo and Fries, Jerk Chicken Thigh-Stuffed Poblanos with Pineapple and Pickled Red Onion, and Creamy Piccata Chicken with Cheesy Roasted Brussels Sprouts and Carrots. Another fun feature of Home Chef would be the add-ons you can get each week —smoothies and fruit baskets. They’re perfect for breakfast or an afternoon snack. When it comes to ingredients, they will only occasionally use organic ingredients. Unfortunately, it’s not something they’re able to guarantee for every meal right now, unlike Sun Basket. However, they do still strive to provide high-quality ingredients every week and they source ingredients responsibly whenever possible. Whether you have one mouth to feed or many, you want your meal kit to accommodate your meal needs. Whether you’re single, it’s just you and your significant other, or you and a big family, Sun Basket has portion sizes that will give you exactly what you need. You’ll have the right amount without overeating, so there’s no need to feel guilty afterwards or have wasted leftovers. You and another person can share the two-serving meals or if it’s just you, the remaining food can be enjoyed the next day. Also, if you have a family to feed, they’ve got you covered as well. They offer options that are suitable for families and provide four servings per meal. 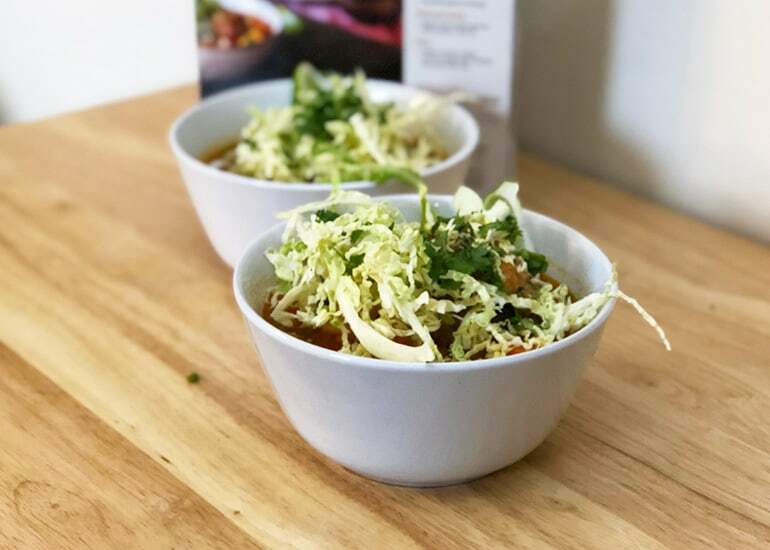 Not all meal delivery services do this, so it’s always great to see one that can cater to families. Unfortunately, Home Chef is one of those meal delivery services that doesn’t have options for families that need more than two servings. At this time, their meals will only provide enough servings for two people, so you’ll want to keep that in mind if you have a few extra mouths to feed. Yes, the ingredients you receive from both Sun Basket and Home Chef are pre-portioned. This is designed to make the cooking process easier for you, while also cutting down on food waste. Instead of having to prepare all of the ingredients before you begin cooking, these companies have done the work for you, thus cutting down on the amount of time you spend in the kitchen. Thank goodness! And we’re all guilty of purchasing ingredients that don’t get used, wind up going bad, and then have to be thrown out. Not only is it a waste of food, but it’s also a waste of money. Using a meal delivery service like Sun Basket or Home Chef will help keep more money in your pocket in the long run. Plus, there’s no more throwing out expired foods that have been stinking up your refrigerator! 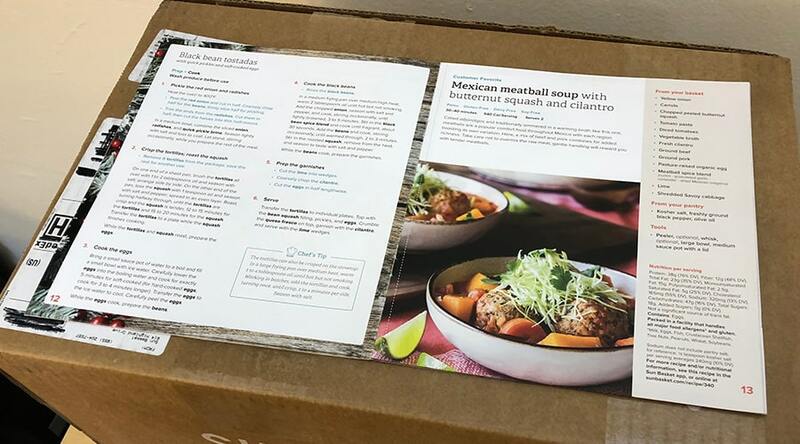 The recipe cards that meal delivery services send you are one of the most critical parts of a successful meal. If designed correctly, these cards will make the cooking process a breeze. However, if done inefficiently, they risk confusing the cooker. 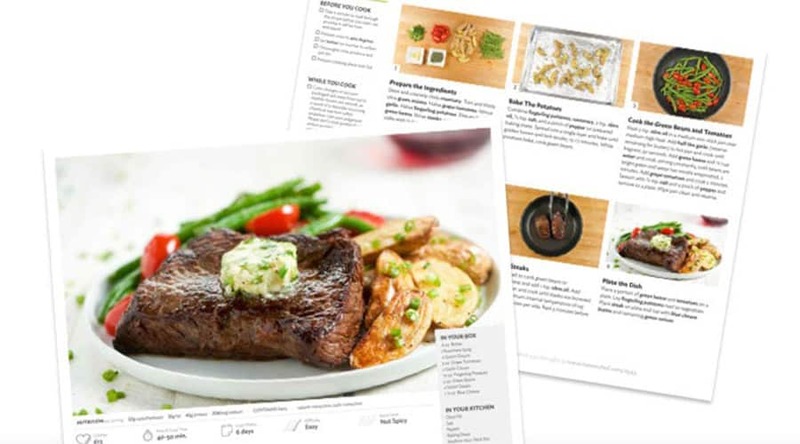 The recipe card is printed on heavyweight paper that is durable in the kitchen. Meaning it can take some water and ingredients being accidentally spilled on it without the paper degrading. The recipe card is also printed on heavyweight paper to ensure it stands up to spilled ingredients, water, etc. You also have the ability to view the entire ingredients list and recipe instructions online before choosing your meals for the week. This is great if you want to see what each meal will require before making your final decision. The only downside is that Sun Basket doesn’t provide photos online with their recipes, but Home Chef does. 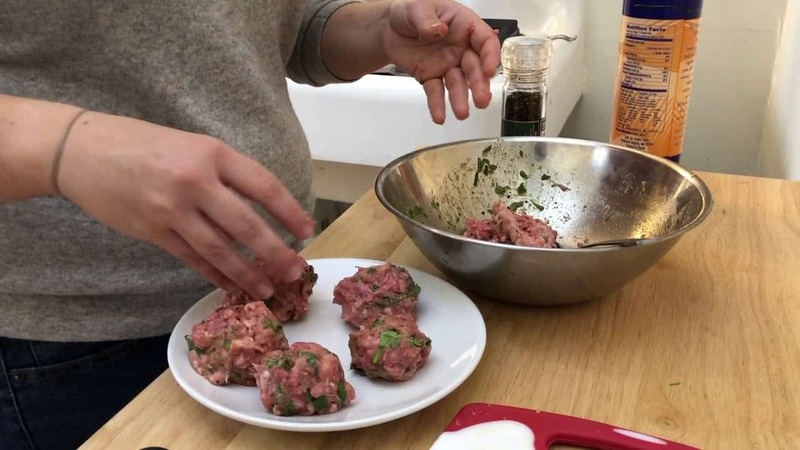 Those pictures can make a huge difference, especially if you’re not the most skilled chef. Quick, safe, and efficient delivery is important for getting your box of food to you undamaged. If you’re interested in Sun Basket, you’ll want to make sure you’re in their delivery area before getting started. At this time, they’re able to deliver to most zip codes across the United States, however there are a few states outside of their reach. They’re currently unable to ship to Alaska, Hawaii, Montana, and parts of North Dakota and New Mexico. When you place your order, you will be presented with various delivery options based on where you live. Deliveries can be scheduled on Monday, Tuesday, Wednesday, or Thursday. You can expect your order to arrive anytime between 8 AM and 9 PM on that day. It just depends when the delivery truck gets to your area. You don’t have to be home to receive the package either, so just choose the day that works best for you. It’s also worth noting that shipping on your first order from Sun Basket is free, but every subsequent order will have a fee of $6.99. Currently, Home Chef delivers ready-to-cook meals to 98% of the United States. If you want to see if they deliver to your area, you can visit their website and input your zip code to find out. If not, you can always check back later to see if they’ve expanded their service to reach your location. You will have the ability to choose your preferred delivery date based on what’s available where you live. This allows you to choose exactly when you’d like to receive dinners, so choose what works best for your schedule. 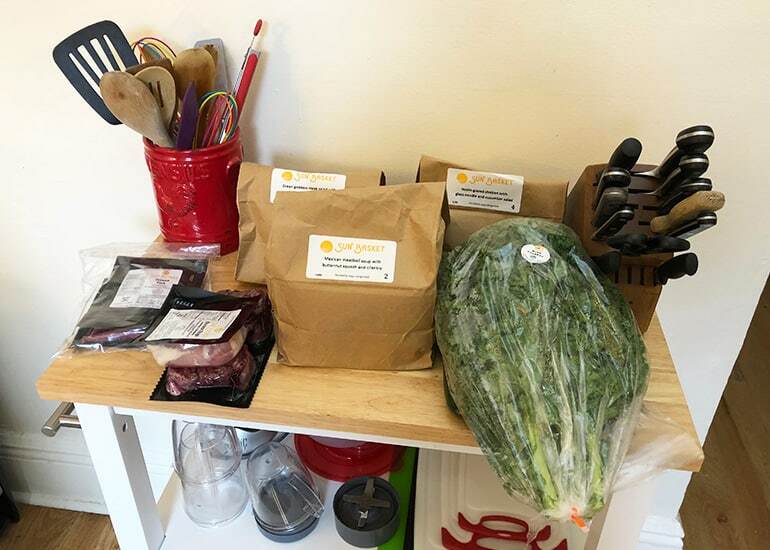 Home Chef sends weekly deliveries Tuesday through Friday, which provides plenty of choices. Delivery will be free for orders that total over $45. If your order is less than $45, you will be charged a $10 shipping fee. Meal kit packaging ensures that your ingredients don’t go bad or get damaged while they’re being shipped. Also, how a box is packaged plays a role in how recyclable it is when it needs to be thrown away. When it comes to eco-friendly packaging, Sun Basket is on top of it! They know it’s important to keep ingredients fresh and cool during transportation, but they don’t want to pollute the environment in the process. This is why they use various packaging materials that are either recyclable or compostable. The box your ingredients will come in is made from both recycled and virgin kraft paper, while the insulation inside the box is 100% shredded recycled paper between two sheets of 100% recyclable kraft paper. Sun Basket also adds ice packs to keep ingredients cold while they make their way to your door. If you don’t want to reuse the ice packs, you can drain the liquid into the trash can or in a compost bin. The water inside will evaporate and leave a dried, compostable cotton behind, which is pretty cool. 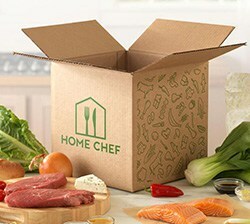 To keep your food fresh while it makes its way to your door, Home Chef uses proper packaging to ensure your food doesn’t spoil. Everything is packed inside a biodegradable, insulated box. They also use water soluble, cool gel packs to keep food refrigerated, but not frozen. This way, you never have to worry about food going bad. Everything will arrive safe and sound. The packaging is also either recyclable or reusable. The boxes and dividers they use are made from partially recycled cardboard and can be recycled with your curbside pick-up. Their plastic produce bags can be recycled at locations that accept #4 and #5 plastics. The insulated liners keep everything cool and are made of recycled cotton and denim. You’ll also find plastic containers and fruit basket wrap, which can be recycled curbside. And then there are the ice packs, which you can easily rinse off and reuse yourself. However, if you don’t want to reuse them, you can drain the contains in the trash and recycle the film anywhere that accepts plastic bags. If a problem occurs, you want to make sure that the meal delivery service has your back. Having a money back or satisfaction guarantee is an important part of meal delivery customer service. If for any reason you’re unhappy with Sun Basket, get in touch and let them know! Whether there’s something wrong with an item in your box or you have any other issue, be sure to reach out within seven days of your delivery. Sun Basket offers customers a 100% money back guarantee on all the food they ship to their customers. There is technically no money back guarantee or satisfaction guarantee listed on the Home Chef website. However, if you open your Home Chef box to find there’s a defective product inside, get in touch with their team right away. Let them know about the situation and they’ll either possibly give you a credit toward a future purchase or possibly refund your money. If they find that only part of a product is defective, they’ll determine whether you’re eligible for a refund and how much that refund will be. There’s a chance you might open your meal kit and have a question. It’s important you can get in touch with someone at the meal delivery company who will be able to help answer any questions you might have. To reach the customer service team at Sun Basket, you can give them a call and speak to someone over the phone, submit a support ticket on their website, or join a live chat with their team. Either way, they’ve made it easy to get in touch when you need help. If you need to get in touch with the Home Chef team, you can submit a support ticket via their website or give them a call. At this time, they don’t have a live chat feature like Sun Basket does, but they’ve still made it easy for customers to get in touch should they have any kind of issues with their service. The head-to-head showdown between Home Chef and Sun Basket is a tight one. Why? They’re both great meal delivery services. However, they prioritize different things. 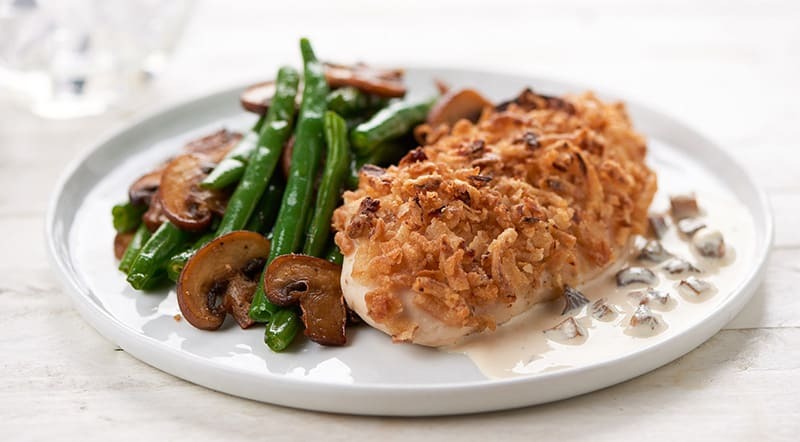 Home Chef meals are much simpler and they have less variety. This makes them perfect for someone who wants a quick and easy meal kit without having to think much about plans or any other options. Sun Basket meals offer much more variety, are organic, and fit into a ton of different diets (e.g. vegetarian). This makes their box perfect for someone looking for a healthy and tasty meal to make. Both meal delivery services have meals that can be ready in a hurry too. Sun Basket has an entire meal plan dedicated to Quick & Easy dinners that won’t take you long to prepare. While Home Chef doesn’t have a designated meal plan, they label each meal to show you how long it should take to cook. There are always options that fall into the 20-30 minute range for those busy weeks when you need something fast. 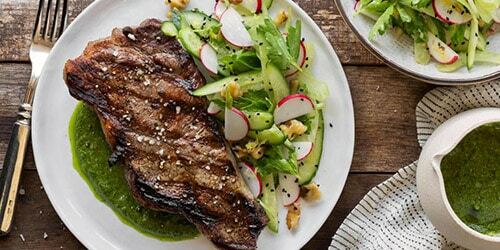 Home Chef vs. Green Chef: Which Of These Meal Kits Is Worth Your Purchase? Hi Miriam! Home Chef has a family plan for up to 6 people and Sun Basket has a family plan for up to 4 people. Since there are 5 people in your family, I suggest going with Home Chef’s 5 person plan.